Having visited Sravasti Abbey a few weeks ago for the first time, I was extremely impressed with what my dear friend for over thirty years, Ven. 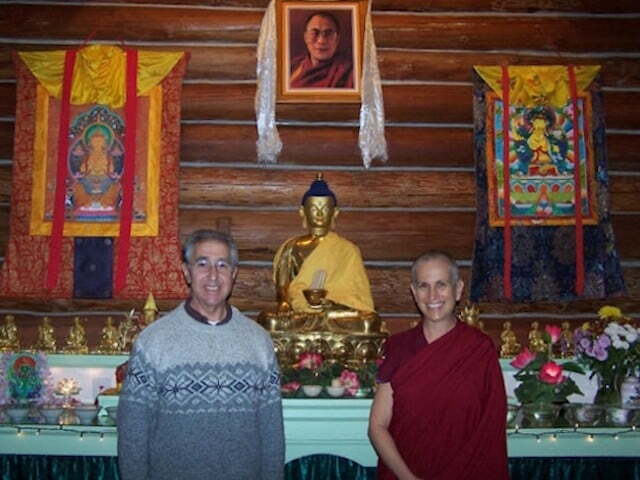 Thubten Chodron, has accomplished. She has had the vision of such an Abbey for so many years and it is a tribute to her perseverance, strength and courage that she has finally made her dream come true. Buddha advised that the existence of his teachings in this world depends on the existence of the monastic sangha. Too often, people in the West pay little heed to such enlightening advice and ignore the importance and needs of the ordained community. This is particularly the case regarding Western monks and nuns following the Tibetan tradition. Even when nunneries and monasteries for them have been started in the West, very few of them have the strict discipline, together with a well-structured study and practice program, that provides serious monastic practitioners the opportunity to live to the full the life to which they have dedicated themselves. I rejoice in this opportunity that not only monks and nuns, but also lay persons contemplating ordination have available at the Abbey. And I rejoice in the positive force built up by Ven. Thubten Chodron and all those who join her there. Read more about Alex Berzin.